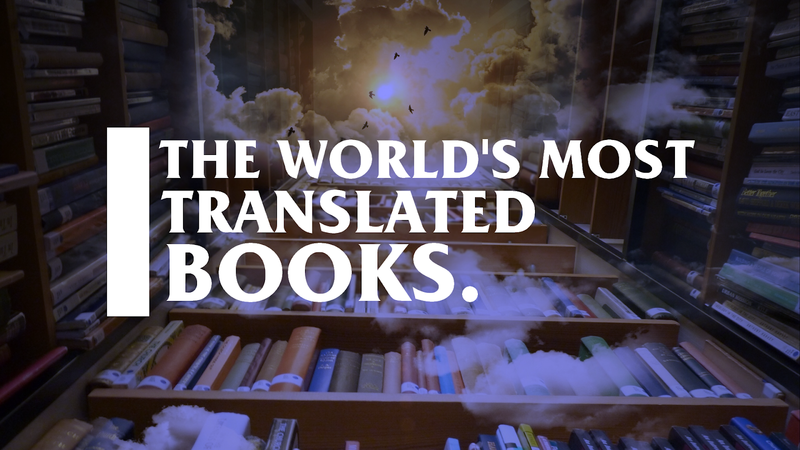 50 Of The World's Most Translated Books. Great books are never bound by the languages they are written in. They travel through languages, spaces, and cultures, and that's what makes a great book. To celebrate World Book Day, The Translation Company shed light on 50 of the world's most translated books. Better yet, they put that into an infographic. We brought it here to you and we wish it interests you. I know a book that has been translated into 670 languages. The second half has been translated into 1,521 languages. Why did this not make the list? Perhaps the intent of this is to tell about a book by a verifiable single author rather than the Bible which were written by many authors at different time and just gathered into a book? If you talk to a man in a language he understands, that goes to his mind. If you talk to him in his language, that goes to his heart._Nelson Mandela.